When it comes to gift guides, Escentual has got you covered. We’ve left no stone unturned, no perfume un-sampled and no makeup un-swatched in our efforts to guide you to the perfect gifts for your loved ones this Christmas. It’s a good job too, because luxury fragrance can be a notoriously tricky thing to buy as a gift due to the fact that one person’s signature scent is another’s worst nightmare, so do check out our guides this season so you can pick out the perfect thing for that difficult recipient in your life. They may be tricky but they deserve the best! For my guide, I’m taking a look at some wonderfully luxurious fragrance treats, whether they be scents to wear, shower in or fragrances to adorn the home. Now, when I say ‘luxurious’ I don’t necessarily mean expensive, instead I refer to beautifully excessive things that look, smell and feel utterly glorious without necessarily breaking the bank (although, admittedly one of them does). So, if you have a tricky loved one to buy for who just adores all things luxurious, fear ye not, my friends, because I’ve got your back! Perfume people like to smell good. I know that won’t be news to anybody, but what I mean to say is that people who appreciate scent tend to do so in many forms other than fragrance. When it comes to good scent, perfume lovers will take it in a candle, a hand wash, in the shower, bath or bed – anyway they can get their scent fix. For real scented luxury, a true perfume addict would accept nothing other than Guerlain and luckily for you, we have just the thing! 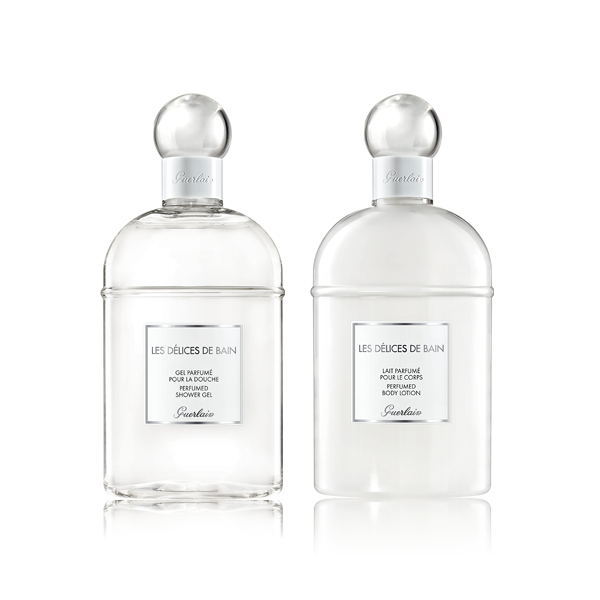 Earlier this year, Guerlain (arguably the greatest fragrance house in the world) launched ‘Les Délices de Bain’, a trio of body products designed to work with any Guerlain fragrance. Between them, the Body Lotion, Shower Gel and Deodorant all share notes of bergamot, orange blossom and almond – three notes found in many Guerlain scents in one form of another, so scenting oneself in this collection is pure Guerlain heaven! Get this for Guerlain addicts and those that demand luxury in the bath and on the body at all times. I’ve always turned to Acqua di Parma for accessible luxury. Their scents manage to portray an effortless beauty that, whilst appearing simplistic on the surface, demonstrate complexity through top notch ingredients and a cool sense of Italian style. But, I ask you, why limit that easy, breezy beauty to fragrance for the body? 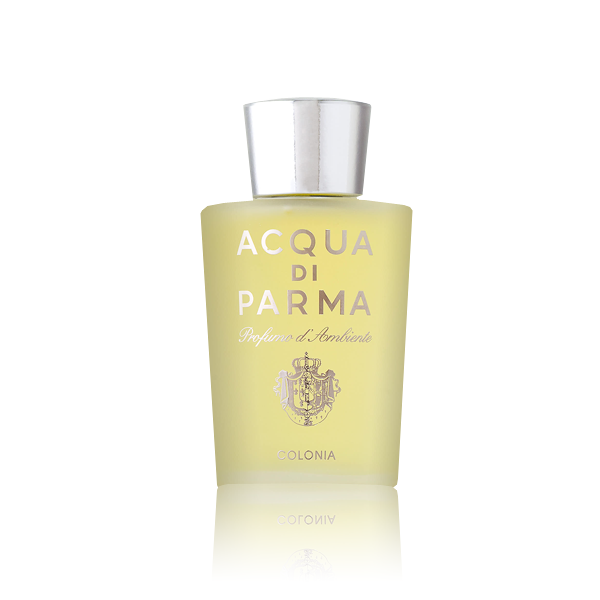 Well, Acqua di Parma obviously thinks the same way and they offer a range of home fragrance solutions ranging from candles to room sprays. My favourite is the Colonia Accord Room Spray, which takes the bracing citrus notes, delicate florals and musky animalic undertones from their classic Colonia fragrance and puts them in a format that allows one to soak their home in beautiful scent. 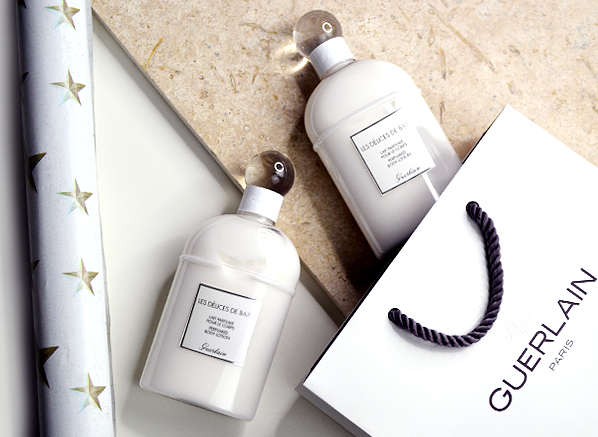 This is the perfect gift for someone who likes their home to smell as luxurious as they do. Juliette Has a Gun is a rebellious outfit that likes to have fun with luxury fragrance. Their scents look at perfume from a different perspective, one that empowers women to be whoever the heck they want to be. The brand’s luxury collection offers three fragrances centred on the most feminine of all perfume materials: the tuberose. Oil Fiction, the standout in the collection, is a golden, shimmering oriental with tuberose flowers crafted delicately from marzipan. On the skin, Oil fiction feels like a beacon of luminescent golden light, evocative of the orient yet as light as a golden feather. Get this gift for the beautiful rebels in your life. When Cartier launched La Panthére in a thick column of glass etched with the angular face of a panther, we all thought that they simply could not outdo the beauty of that bottle. Well, as it turns out, they could and they did with L’Envol, their latest masculine scent. The 100ml flacon for L’Envol is more objet d’art than perfume vessel. A golden capsule levitates within a glass cloche that ensures that the bottle never touches the ground, hinting at the aviation inspirations of the fragrance. The scent itself is a beautiful mixture of violet leaf, iris and mead that is golden, honeyed and so handsome it hurts. 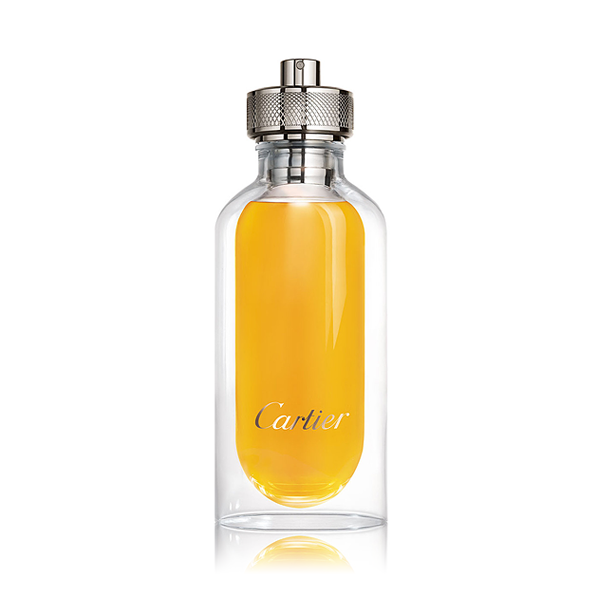 L’Envol de Cartier 100ml makes the perfect gift for the man that appreciates beautiful sculptures, whether they be fragrant or physical. Angel is a pretty intense and luxurious experience at the best of times. It’s a perfume built on excess – an overdose of sugar and a dose of patchouli so heavy it verges on lethal. Everything about Angel is too much and that’s exactly what makes it wonderful. Those who love it adore it for life and those that hate it, despite its intensity. There is no middle ground with Angel. This year, MUGLER have treated us to a very special limited edition of our beloved gourmand glamazon, in the form of the Angel Arty Cover. 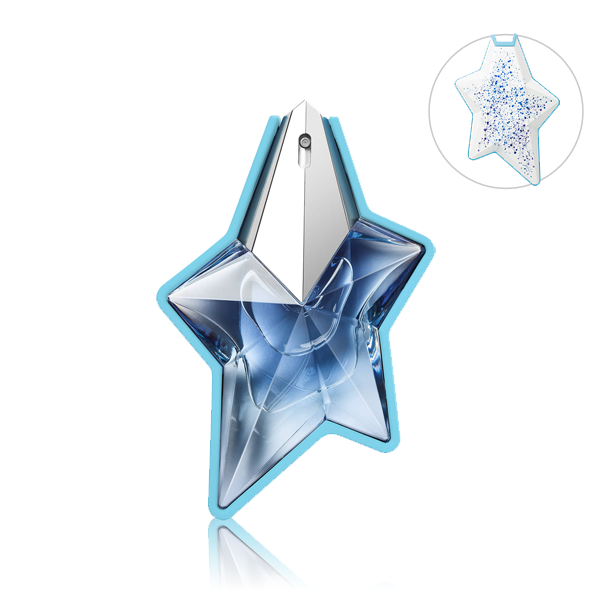 This 25ml bottle of Angel Eau de Parfum comes housed within a couture cover of white and baby blue, boasting a dynamic pattern of interstellar constellations. It’s just the thing for that special someone in your life who has an olfactory obsession. What luxury fragrance treats are on your list this Christmas? This entry was posted on Wednesday, December 7th, 2016 at 5:19 pm and is filed under Christmas, Christmas Gifts, Gifts, Men. You can follow any responses to this entry through the RSS 2.0 feed. You can skip to the end and leave a response. Pinging is currently not allowed.